All my wedding couples receive an engagement session as part of my wedding coverage. This is a fabulous way for you to get to know me, so that when I turn up on the wedding day we are already friends! You’ve had a chance to see what this “photography” thing is all about, you know what to expect and you aren’t nervous. Plus as a bonus you get some fun images to share! My absolute favourite thing to produce from the engagement sessions is a guest signing album. 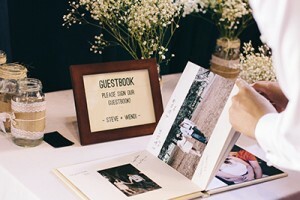 I design the album with lots of white space around the photographs so your guests actually sign the book at your reception. So much more personal than a store bought guest book, and a brilliant keepsake from your wedding day. It also gives you the chance to show off just how dang gorgeous you and your partner are 🙂 The albums have been a HUGE hit not only with my wedding couples, but with their guests as well! The albums are beautiful layflat fine art albums, printed on gorgeous matte paper with a bookcloth cover. No worrying about fingerprints and the colours look stunning! 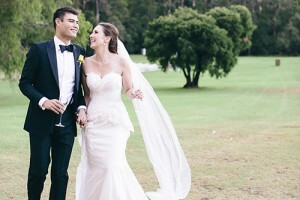 Couples have the option of adding in a photo strip on the front, embossing their names or having an image dust jacket to wrap around the album.